Trade shows in the health science industry present a huge opportunity to build brand awareness and cultivate relationships with current and prospective clients. In this article, we share our expertise on optimizing your investment, which requires both strategic planning and tactical execution before, during and after a trade show to ensure success. Trade show planning starts far in advance of the show itself. Start by reviewing your full marketing budget. Based on your company’s business goals, determine what percentage to spend on trade shows. We recommend that you do not allocate more than 30 percent of your overall marketing budget. The best strategy for trade show planning is to attend first to establish whether you have a strategic reason to exhibit, then determine the level of presence necessary. Some health science trade shows have a networking format, which requires upfront planning to schedule meetings and make your attendance productive. Others are like speed dating, where a group of industry professionals spend a few minutes meeting each other and talking about opportunities to work together. You can attend these types of events without investing in a booth. If you choose to attend larger shows such as DIA, BIO, AAPS or CPhI, you will need to make an investment to ensure you are noticeable given the breadth of the show and its bigger players. For example, you could consider some of the unique, high-visibility marketing opportunities offered by the show to increase your exposure such as carpet inlays, column wraps, hanging banners, stair decals or table clings. Using guerrilla tactics doesn’t have to use all of your budget; something eye-catching and unique can draw positive attention and qualified leads. You could also promote your company in high-traffic areas of the adjoining hotel. Once you commit to trade show participation, set clear and measurable goals. If one of your goals is thought leader presence, make sure to submit abstracts for speaking and poster opportunities per the deadlines. Trade shows are not one-and-done events but ongoing experiences that serve as part of your relationship building from both a sales and marketing perspective. Set goals that include how many qualified leads you aim to attract and meetings you will schedule. Before the show, implement ads, email marketing, direct mail, social media tactics and website updates to increase awareness about your presence at the show. Encourage prospects to set up meetings, request demos, attend presentations and participate in related activities such as receptions you are sponsoring. To build ongoing relationships, take a personal approach to meetings and strategy sessions by treating your clients to dinner or coffee. Your booth is where you stage the presentation of your brand story. 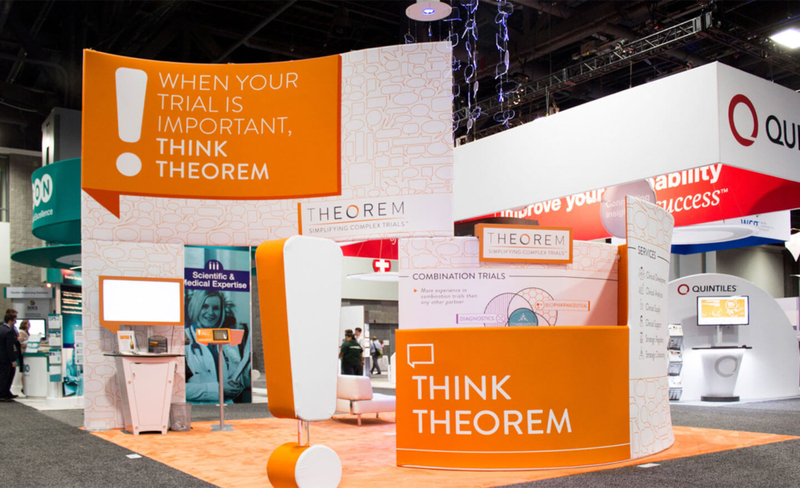 Select a strategic location, design show-stopping graphics and deploy guerrilla marketing tactics for an engaging experience that maximizes your booth’s impact and engagement. Collateral materials such as sell sheets and videos should convey a consistent message that promotes key services and capabilities. Source giveaways and build a survey that you can use to attract and collect leads at the show. Look for ways to stand out. The drug development industry trends toward being conservative, safe and sterile. Find opportunities to break out by catering to more human aspects and activities that stand out among the aisles of 10×10 booths with blue and green color palettes. Think outside your booth. Prepare by training your team. Typically, your business development team may spend two or three months building a relationship before setting up a meeting. On the show floor, however, the team will have limited time to engage attendees. Do they know how to quickly recognize a qualified lead? Are they adept at passing a lead on to another colleague, such as a scientist, when necessary? Review your expectations, objectives and key selling points with the entire team. Role-playing and other training activities will also help you get ready for trade shows. Despite your planning and triple checking, not everything is in your control. For example, if you ship posters and they arrive damaged, what is your solution? Plan for contingencies as much as possible. In this case, bring electronic files so you can reprint at a local location (e.g., hotel business center, FedEx, Staples). Make sure your booth looks pristine — wrinkle-free, with clean carpet. Put away your phone and laptop while you are in the booth. Stand up, greet people and be warm and welcoming. From the food you serve to the demos you conduct, entertain attendees. The trade show experience extends beyond the show floor. Cinda Orr, president and CEO of SCORR Marketing, says, “A trade show is not just about the booth. It’s an ongoing opportunity. It’s theater; you’re actively engaging people.” Also, you never know whom you might meet in the elevator, bar or bathroom (or, on your flight to the show, for that matter). So, be prepared with your elevator pitch. If your booth does not have a semi-private area, scout out places on the show floor where you can conduct meetings with fewer distractions. Use digital tools to help you make presentations, send collateral, store business cards and capture leads via customer relationship management (CRM) platforms. Include a booth draw to entice attendees to stop by, take surveys and provide further information. And remember to stay active on your social media accounts to increase visibility during the show. Take time to walk the show floor to observe your competitors’ booths and what propels you to stop by. As you look around, consider how you can make changes to your booth to allow you to stand out at subsequent events. Note your competitors’ messaging, giveaways, traffic, videos, demos and other elements, and use this information to consider how you can differentiate your brand. When you leave the show, continue to build your relationships. Examine your list of leads, remove competitors and qualify that list. Start nurturing warm leads; your sales team should contact qualified leads within a day or two. To follow up, fulfill requests for materials or send a creative mailing or small gift. Begin nurturing cold leads with drip campaigns (tactics to help nurture a contact). If you presented at a conference, conduct editorial pitching to relevant industry publications. Create webinars or write articles to extend the visibility and reach of your thought leadership. After you attend bigger shows, it may be informative to conduct a debrief meeting, which will help you determine future strategy. Evaluate your team’s performance and note where additional training might be needed. You can also deploy post-show surveys to assess the success of the show and determine if you should keep it on your plan for the next year, and if so, think about any changes you would like to consider. By taking a disciplined, focused approach from planning through post-show follow-up, you will leverage trade shows as part of a successful integrated marketing and sales strategy. For more information on how to optimize your trade show investment, visit Enhance Your ROI at Trade Shows. If you attended a particular health science industry show the previous year, compare the performance of both. Also, consider your soft ROI. If you had a brand launch, do you feel you had good traffic? Are people talking about you? How are the website, social and digital metrics performing? Always compare your performance against your goals to determine where you can improve. Dee has led event efforts for companies in the health science industry for more than 20 years. She is indisputably the most experienced trade show guru in the drug development services industry. Dee has developed strategy, managed budgets, coordinated logistics and executed hundreds of exhibits and conferences around the world. She is also one of only a handful of trade show and event marketers to have earned the distinction of Certified Trade Show Marketer (CTSM), which is offered in affiliation with Northern Illinois University Outreach and denotes adherence to the highest standards. 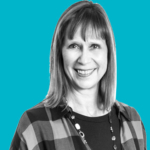 Dee serves on the Exhibitor Advisory Committee for the Drug Information Association (DIA), where her opinions and ideas give direction on how to improve future DIA events. The majority of Dee’s experience derives from her long-standing position as trade show and events manager at MDS Pharma Services and Cetero Research. Her skill in devising and directing comprehensive trade show platforms with an emphasis on qualified lead generation is second to none in the industry and makes SCORR the forerunner in trade show and event services.